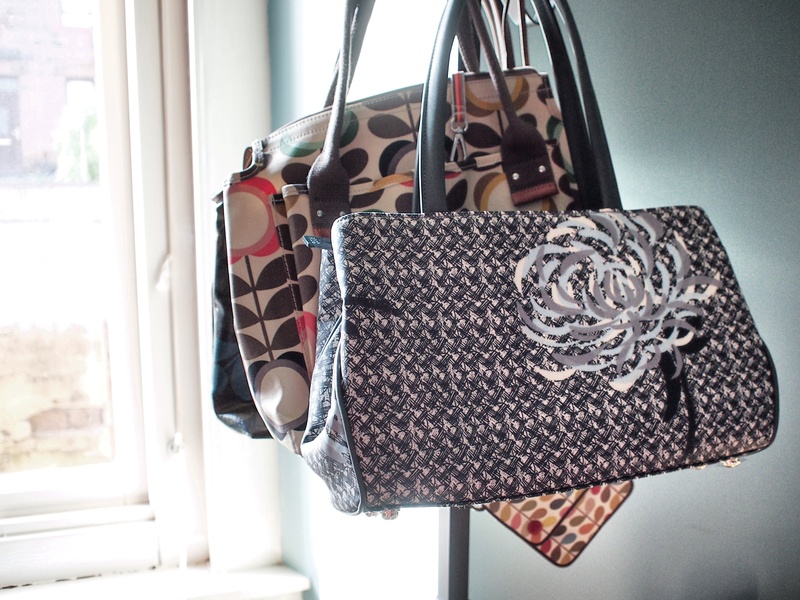 They say admission is the first step to recovery, so I’ll just put it out there: I have a bit of a handbag addiction. After looking for a storage solution that didn’t involve shoving them under the bed or putting them in a closet, I decided to try a hat rack. And it’s perfect! I can now see all of my bags which makes it easier to grab the one I want to go with my outfit for the day. The hat rack I chose came from IKEA, and it has many hooks for handbags.